What is the official currency in Andorra? The official currency in Andorra is the Euro, with the symbol €. 100 cents are 1€. The Euro has been established as common European currency and, in Andorra, it has substituted the Spanish Peseta and French Franc. What do bank notes and coins look like and what value do they have? There are coins with 1, 2, 5, 10, 20, and 50 cents value, and 1 and 2 euros. 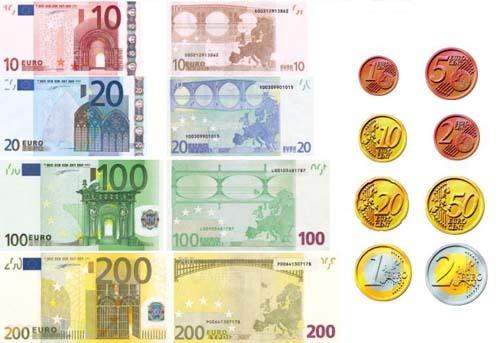 As for bank notes, there are 5, 10, 20, 50, 100, 200, and 500 euros. Its important to note that some stores may have issues if you are paying small purchases with bank notes over 100€. Similarly, taxis and public transport may not carry change for 50€ or bigger notes. Can I pay with debit or credit card in Andorra? Yes, in Andorra, you are able to use credit and debit cards from any international provider, such as MasterCard, Visa, or American Express.